A native of Little Rock, Rand began work in 1985 in the gardening/nursery industry. 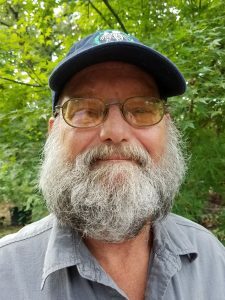 Since 1994 he has worked as owner/operator & landscape designer of Grand Designs, a small landscape company that specializes in shade gardens and native gardens in natural settings. Through the years Rand has received several Arkansas Flower and Garden show awards. The American Society of Landscape Architects has awarded him the “Contractor’s Award of Excellence”. Rand is an Arkansas Certified Nursery & Landscape Professional. His hobbies include golfing, fishing and playing drums for several bands. Our small crew of friendly, courteous professionals cares about your project and will make sure your experience with our company is a good one. Most of our business comes from referrals from satisfied customers.